Posted December 6th, 2018 by David Firth & filed under Biohacking. Biohackers want to make their bodies and brains function better by “hacking” their biology. The BBC’s Victoria Derbyshire programme meets the people who are inserting technology under their skin, adopting extreme diets and trying to change their DNA. Liviu Babitz wants to create new human senses. Touch his chest and you feel his first effort, a vibration every time he faces north. If some animals can already sense direction, why shouldn’t we? 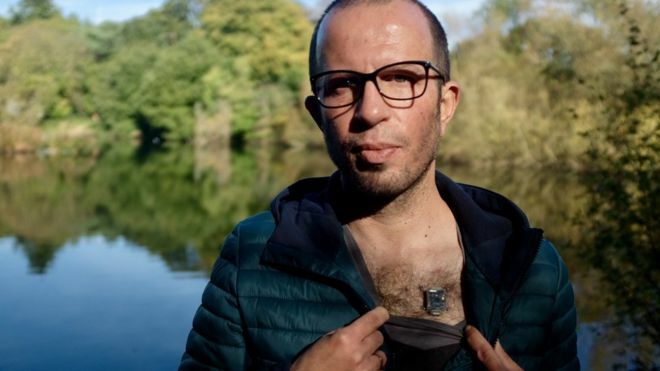 He can feel north because of an electronic implant on his chest called the “North Sense”. It includes a compass chip, Bluetooth connection and is attached to the skin with two titanium bars like a piercing. 1) What sorts of things might you usefully bio-hack on to your body? 2) What sort of business could you set up around this technology? Posted November 30th, 2018 by David Firth & filed under Career, Ethical issues. Young, 33, makes money from companies that pay her to endorse their products on her Instagram feed, and she’s part of a burgeoning ecosystem of social media influencers—made possible by the billions of users eager for their content, and advertisers hungry for new ways to a youthful audience. 1) What sort of person could do this sort of job? 2) Is it ethical that there are paid influencers like this? Is blockchain living up to the hype? Posted November 30th, 2018 by David Firth & filed under Bitcoin, Blockchain. As we approach Bitcoin’s 10th anniversary at the end of this month, we ask whether blockchain – the technology underpinning the cryptocurrency – is fulfilling its promise, or a tech still looking for a better reason to exist. There have been some very grandiose claims made about blockchain. 1) Do you understand what the difference is between Bitcoin and Blockchain? 2) Blockchain should really be called Distributed Ledger Technology. Why? 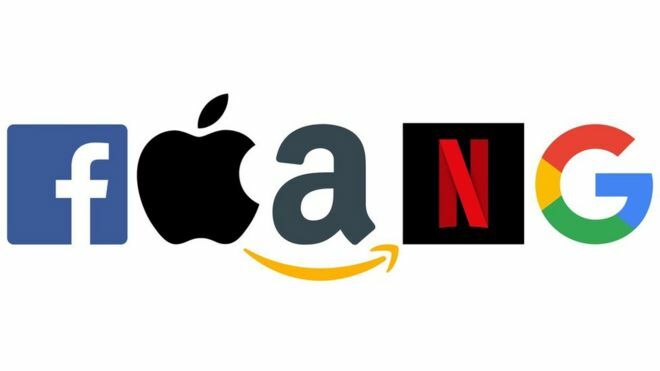 Posted November 30th, 2018 by David Firth & filed under Amazon, Apple, Facebook, Google, Netflix. Technology stocks have had a very bad week. For the FAANGs (Facebook, Apple, Amazon, Netflix and Google) which have led the charge in growth over the past decade, it was grim. At their lowest point, all five were down more than 20 per cent from their peaks. This translates to hundreds of billions of dollars in value being wiped from them. 1) Who else might we consider adding to the FAANG group? 2) This article brings up a very interesting point: “Reid Hoffman, the co-founder of LinkedIn, has co-authored an important new book called Blitzscaling. This riffs on the idea that it is the remorseless pursuit of scale that gives data-based companies their advantage. The first scaler, rather than the first mover, will emerge victorious in various markets. That, according to Hoffman, is why venture capitalists are happy to tolerate the lack of profits at a company like Uber.” Which do you think is more important, being the first mover or being the first scaler? Posted November 23rd, 2018 by David Firth & filed under Apple. 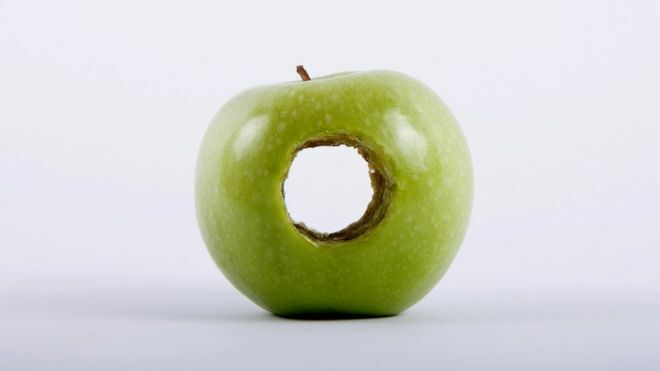 Well, you don’t see that every day – Apple has rushed out a patch to fix a major security bug. It had been revealed that users of its new MacOS High Sierra operating system can access it without using a password. Just use “root” as a username, leave the password field blank and hit “Enter” a few times. It’s an embarrassing slip-up and not one users are used to from Apple, whose products are often cited as more reliable and secure than its rivals’. 1) “We are auditing our development processes to help prevent this from happening again.” What steps might this audit include? 2) Apple’s development process has obviously already been audited many times, so to suggest that Apple is now “auditing our development processes” is just saying something that is obviously true but not very useful. What could have gone wrong here? Posted November 23rd, 2018 by David Firth & filed under Big Data, Bots, Business Analytics, Civil Liberties, Electronic Surveillance, Ethical issues. HiQ is a “people analytics” firm that creates software tools for corporate human resources departments. Its Skill Mapper graphically represents the credentials and abilities of a workforce; its Keeper service identifies when employees are at risk of leaving for another job. Both draw the overwhelming majority of their data from a single trove: the material that is posted—with varying degrees of timeliness, detail, accuracy, and self-awareness—by the 500 million people on the social networking site LinkedIn. 1) “Depending on whom you talk to, the sides are arguing about free speech or privacy, the scourge of data scraping or the danger of digital monopolies.” Where do you come out in this debate? 2) What other sources of data might be scraped by bots and what could you learn from this? Posted November 23rd, 2018 by David Firth & filed under AI/Artificial Intelligence, Ethical issues. 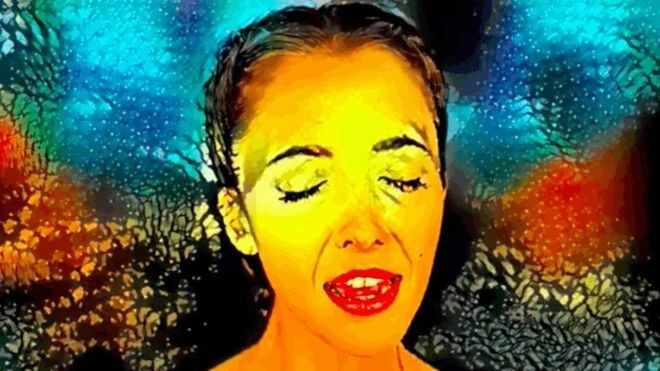 Taryn Southern, a YouTube star and content creator, has just released a song she wrote with the help of artificial intelligence. Called Break Free, it’s a brooding ballad that wouldn’t sound out of place on the Hunger Games soundtrack. Southern wrote the lyrics and melody, but the backing track was built by her laptop, after she punched in a number of settings for the song’s mood, tempo and instrumentation. “My new collaborator is not human,” she grins. “It’s an AI algorithm”. 1) Why does it matter (or not) that AI is creating music we might actually pay to buy? 2) What are the ethical issues here? Posted November 23rd, 2018 by David Firth & filed under Bitcoin. 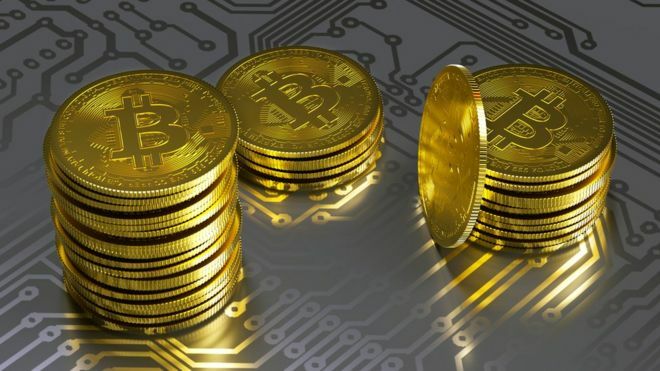 Bitcoin’s ongoing meteoric price rise has received the bulk of recent press attention with a lot of discussion around whether or not it’s a bubble waiting to burst. However, most the coverage has missed out one of the more interesting and unintended consequences of this price increase. That is the surge in global electricity consumption used to “mine” more Bitcoins. According to Digiconomist’s Bitcoin Energy Consumption Index Bitcoin’s current estimated annual electricity consumption stands at 29.05TWh. 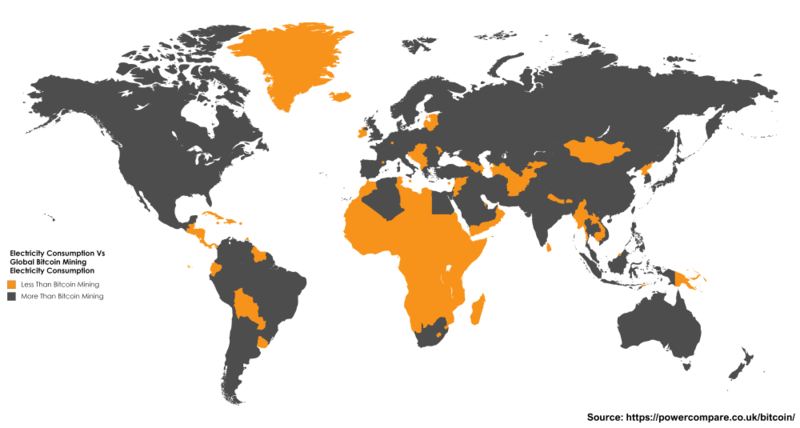 If Bitcoin miners were a country they’d rank 61st in the world in terms of electricity consumption. 1) Why does it matter that Bitcoin mining consumes so much energy? 2) The article shows that places like the Gaza Strip are some of the top places in the world for Bitcoin mining. Is this a concern, or not? Posted November 15th, 2018 by David Firth & filed under Innovation. In a move that is expected to expand satellite Internet connectivity, the US Federal Communications Commission unanimously voted Thursday to allow SpaceX and three other companies to deploy new satellites systems. 1) This could radically change the way we receive internet, as it allows completely new companies to compete without having to dig up roads and put cables in to homes to deliver internet services. Why is this such a big deal? 2) Are there any services you could package around this sort of internet? Posted November 15th, 2018 by David Firth & filed under Amazon, Ethical issues. Amazon’s search for a second headquarters was never just about finding a new home. 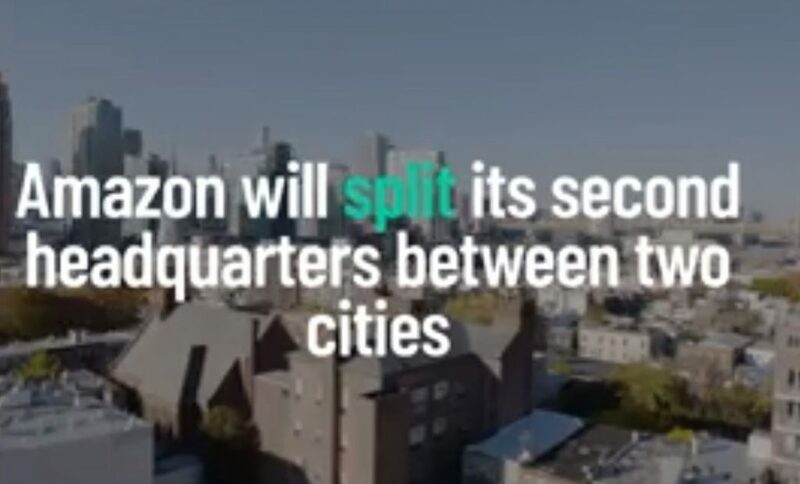 Throughout the process, Amazon skillfully obtained data from 238 cities and metro areas in North America for free, including proprietary information about real estate sites under development, details about their talent pool, local labor cost and what incentives cities and states were willing to cough up to bring the company to town. 1) Is this notion that Amazon “crowdsourced” its collection of data from 238 cities genius, or just plain unethical? 2) Amazon chose to open 2 new HQs, in New York and Washington. On what dimensions does this make sense, and on what does it not?